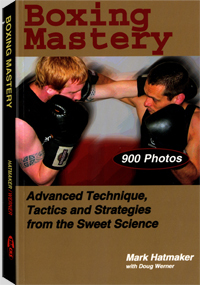 Master trainer Mark Hatmaker provides expert instruction in the "sweet science" of boxing to round out anyone's competition, training or self-defense arsenal. Learn how to throw advance combinations, cut off the ring, fight off the ropes, generate power, corner a foe and fight a variety of opponents, including short and tall boxers, chargers, speed demons, stick-and-move types, sluggers and brawlers. Packed with photos and easy-to-follow drills, all that's required to get the most out of this book are two pair of gloves and a training partner. This title is not available to wholesalers.